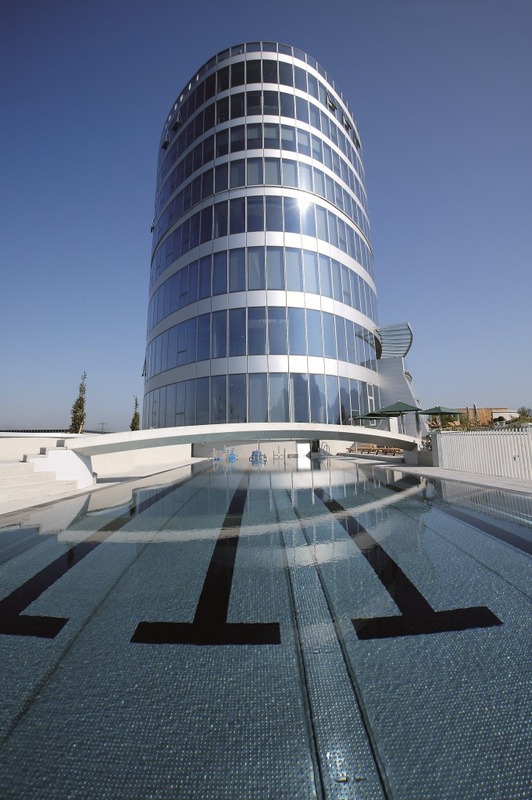 The multi-functional building “Panoramahaus Dornbirn” with its hotel, seminar and fitness centre makes a clear statement amid the agglomeration of the Vorarlberg Rhine Valley. 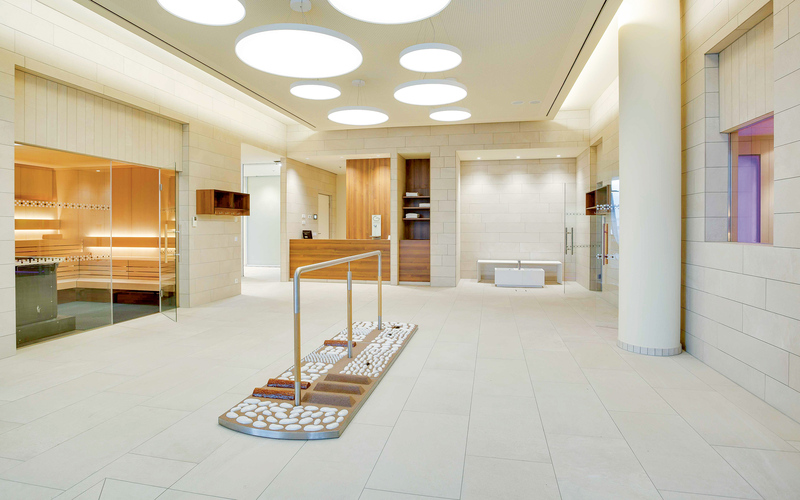 The wellness area is situated in the most prominent location between ground floors and upper levels. 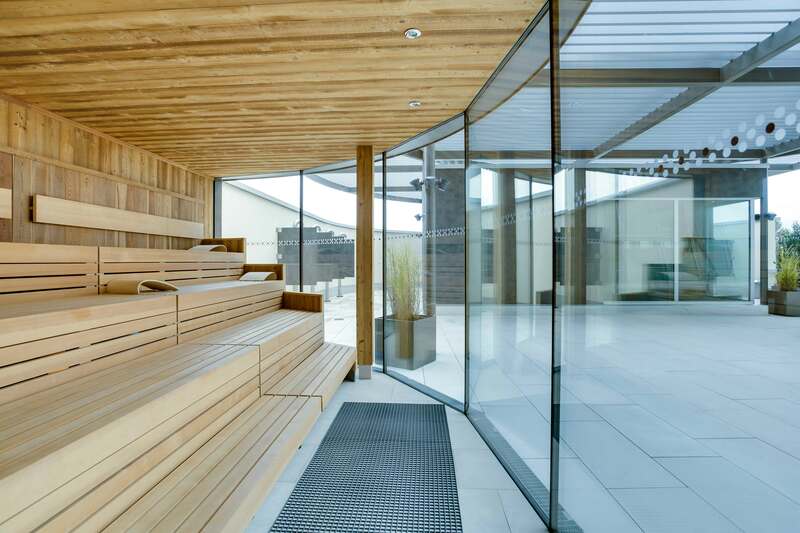 It forms not just the heart of the “Panoramahaus Dornbirn”, but at the same time a generous oasis of rest, relaxation and self-awareness in a busy environment. 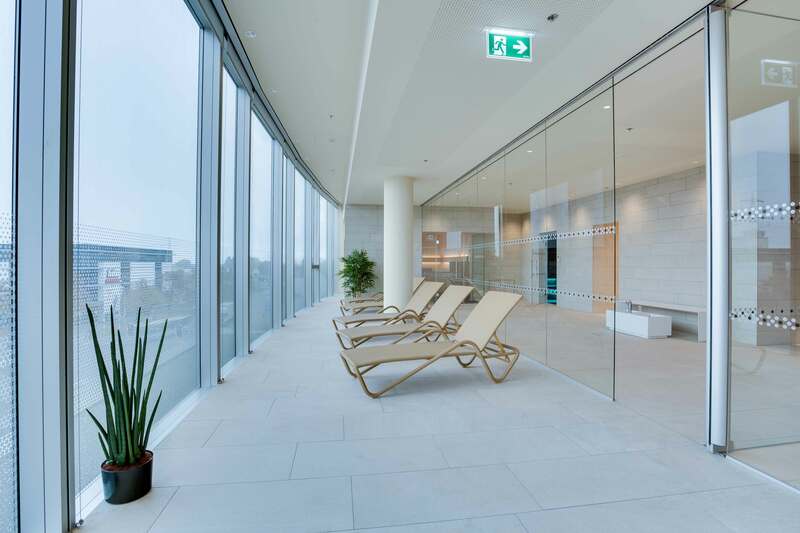 Total surface of wellness area: around 1,900 m². 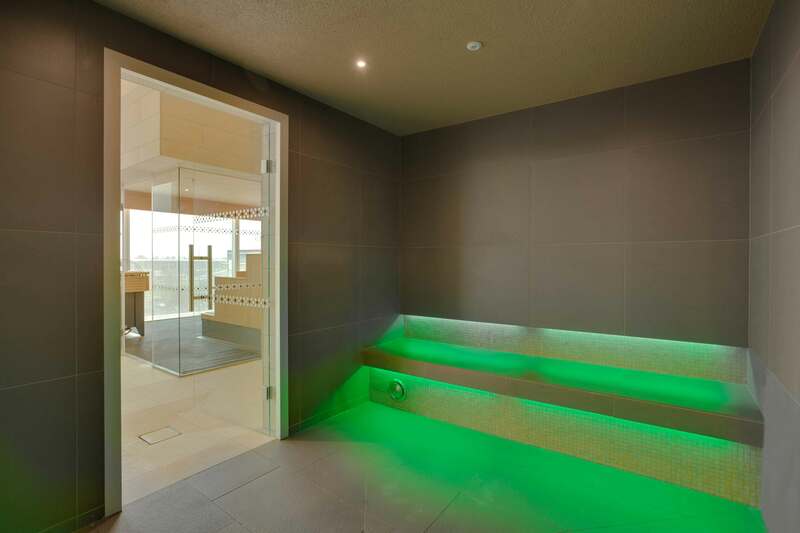 Interior area around 950 m². 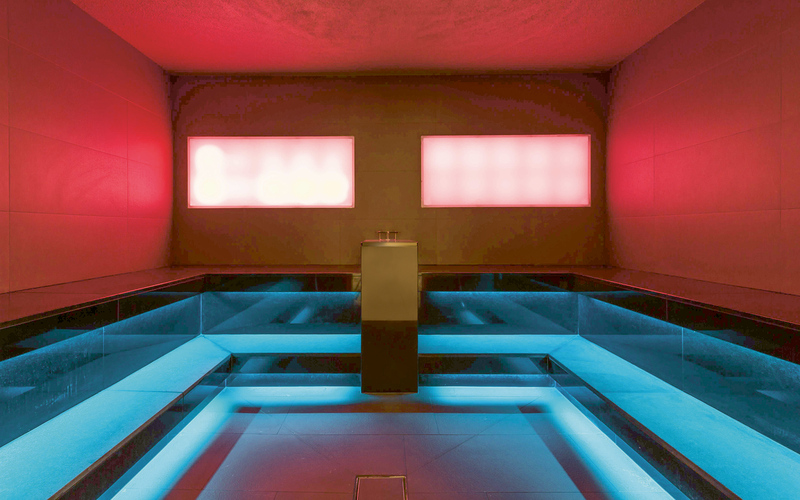 Ladies’ sauna: SANARIUM®, salt steam bath, infrared cabin, spa and rest area. 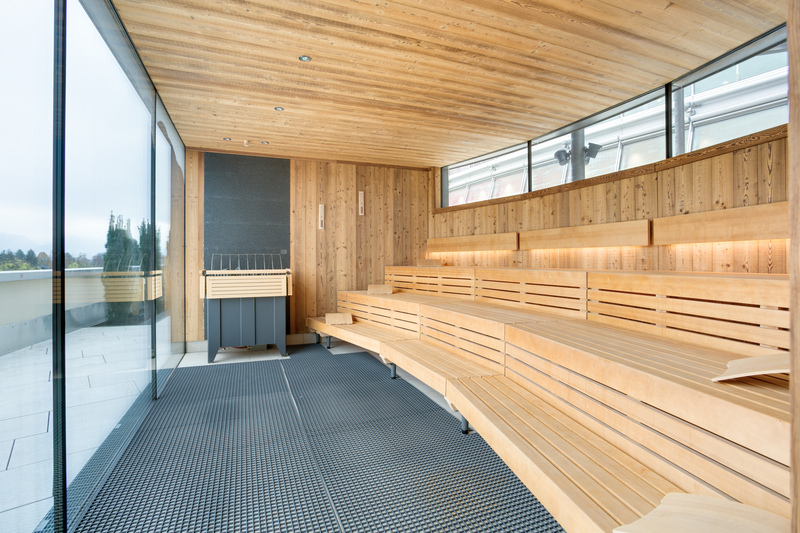 Mixed sauna: SANARIUM®, Finnish sauna, salt steam bath, foot reflex zones path TAOSENSA®, spa and rest area. Indoor pool. 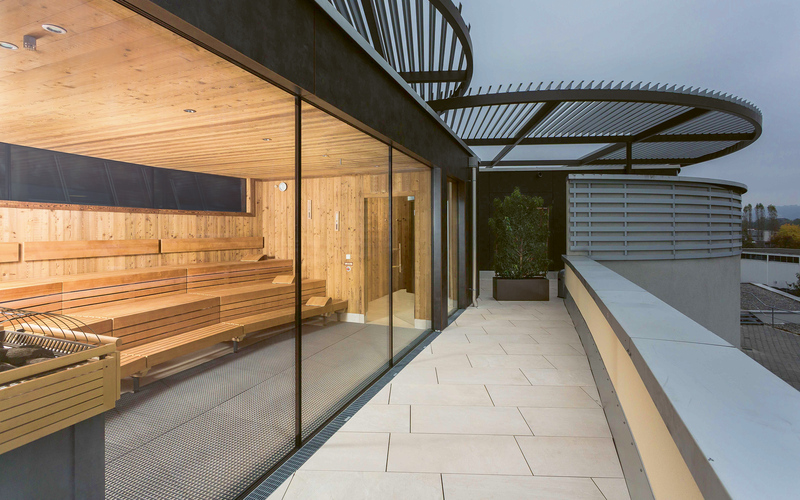 Exterior area around 950 m². 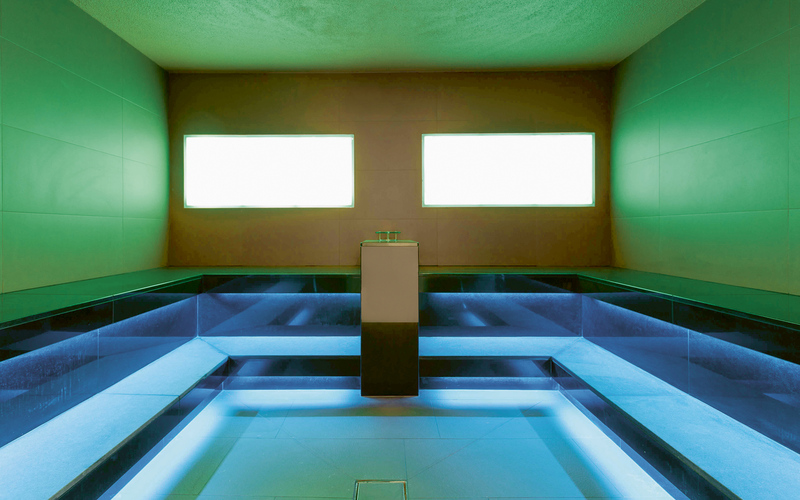 Mixed sauna: SANARIUM®, 2 infusion saunas, Kneipp basin, spa and rest area. Outdoor pool. 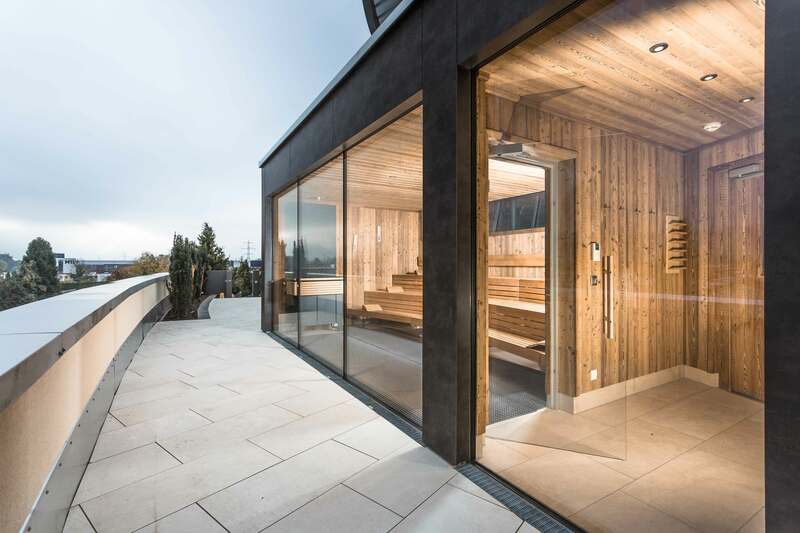 Supported by the clear language of forms, the reduced yet still warm choice of materials, the interior and exterior spaces that convey both cosy intimacy as well as offer spectacular views of the surrounding nature of the Swiss Vorarlberg mountains. 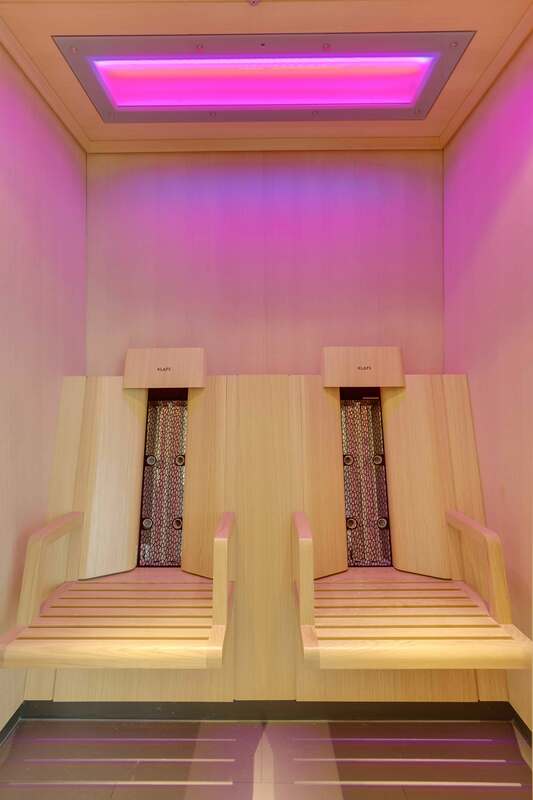 It is the ideal place to relax the body, mind and soul and find oneself.